WASHINGTON (AP) — America first? Try America first, second and third. As President Donald Trump prepares for his second U.N. General Assembly, the Olympics of international diplomacy, his administration has turned unabashedly and profoundly inward, pursuing ever more unilateral policies in what critics argue is a great retreat from global engagement that had been a bipartisan hallmark of previous U.S. leaders. Trump aides who used to qualify his well-worn campaign slogan by insisting that “America first does not mean America alone” are gone. In their place are advocates of inviolable state sovereignty who share a belief that many of the institutions established after World War II to secure and maintain international order are either obsolete or in need of serious revision. 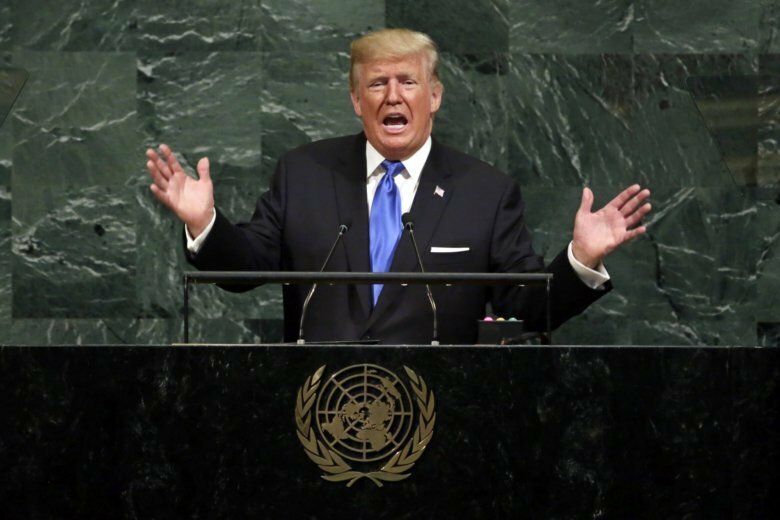 Ahead of the General Assembly, some expect the meeting to have a different tone from last year when wary world leaders weren’t prepared for Trump’s brand or style of diplomacy or for his determination to push an “America first” agenda. This time around they know what to expect. Getting the Trump administration to change course, however, may be difficult, considering its foreign policy trajectory. His assertion was arguable at the time. But if it was true then, it is no longer. The seeds of the retreat were planted even before Trump fired his first secretary of state, Rex Tillerson, in March, and the departures the next month of his chief economic adviser, Gary Cohn, and national security adviser, H.R. McMaster. In his first several months, Trump withdrew from a trans-Pacific trade deal, the Paris climate accord and pulled the U.S. out of the U.N.’s science, educational and cultural organization. He repeatedly questioned the relevance of NATO, the utility of other multilateral groups and organizations, insulted the leaders of U.S. allies and pared back the Obama administration’s rapprochement with Cuba. In December, against the advice of his national security team, he recognized Jerusalem as Israel’s capital. But since Tillerson, Cohn and McMaster left and were replaced with Mike Pompeo, Larry Kudlow and John Bolton, the pace of the retreat has intensified and heading into the General Assembly appears set to increase. In the last six months alone, Trump has pulled the U.S. out of the U.N. Human Rights Council, yanked funding for the U.N. agency for Palestinian refugees, halted virtually all assistance to the Palestinians themselves and re-ignited the Jerusalem dispute by moving the U.S. embassy there from Tel Aviv. In the same time frame, the administration has also imposed sanctions on NATO ally Turkey, slashed its contributions to Syria stabilization efforts, withdrawn from the Iran nuclear deal, sharply reduced refugee admissions, threatened to prosecute International Criminal Court employees if the tribunal even opens an investigation into alleged war crimes by U.S. troops, started a trade war with China and suggested the U.S. might quit the World Trade Organization. Two areas where the administration has tried outreach — with North Korea and Russia — have been criticized or viewed with extreme skepticism by many foreign policy veterans, Republicans and Democrats alike. Trump has met the leaders of both nations at summits that produced questionable results. And, while he has claimed progress on the North Korea front that may yet pan out, the engagement has yet to achieve any concrete sign of success on the desired result of denuclearization. Follow Matthew Lee at https://twitter.com/APDiploWriter.